Showing results for tags 'ajman'. 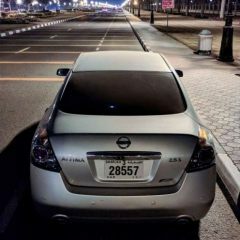 Hi, I would like to know if i can keep the same shj plate number being under Ajman Student visa. Currently my car is under Dad's name (sharjah visa) due to insurance costs. And he's leaving UAE so can i have the same sharjah plate with my current visa? Does anyone know/have any information about this? Or will the procedures be just like when selling it to a different person?